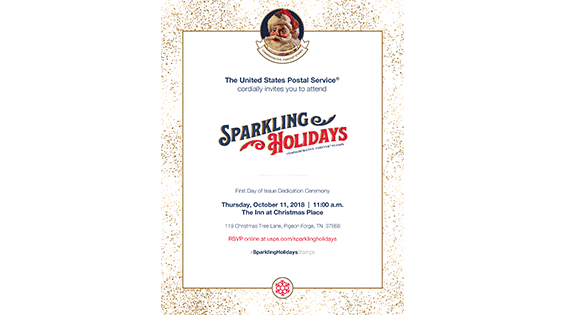 The United States Postal Service® invites you to attend this year’s Sparking Holidays! 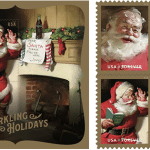 This event showcases classic images of Santa Claus painted by famed commercial artist, Haddon Sundblom. 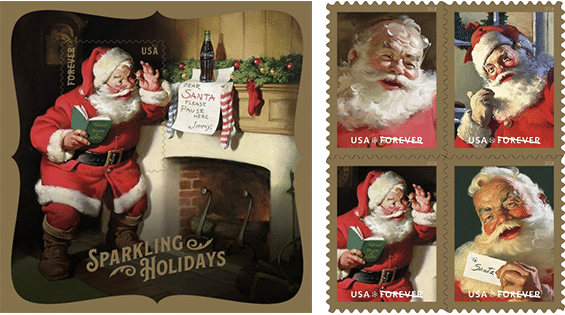 Each image in the booklet features details from larger paintings created by Sundbolm, who created the modern image of Santa Claus and the originally published ads for The Coca-Cola Company the 1940s to the early 1960s. Don’t miss your chance to get your souvenir sheet including a semi-jumbo stamp as a part of a wider scene of Sunblom’s paintings and art that is nothing less than a classic!